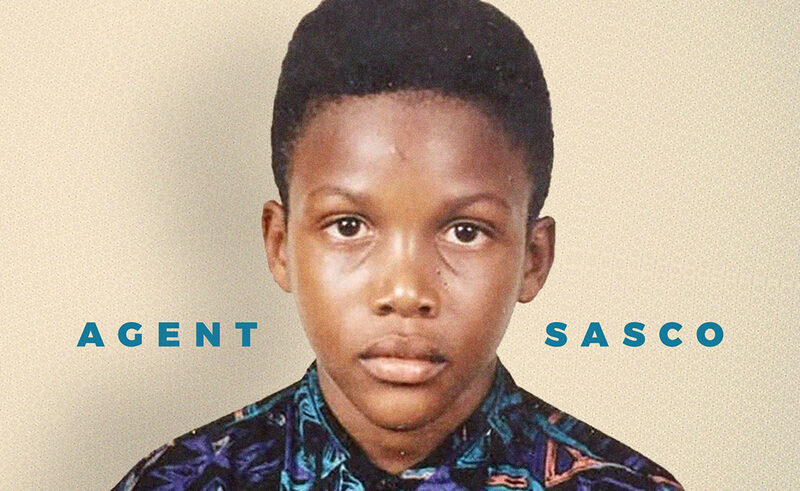 There’s a level of complexity in what Agent Sasco (who at one time was known simply as Assassin) does that other, more one-dimensional, dancehall acts are unable to achieve. 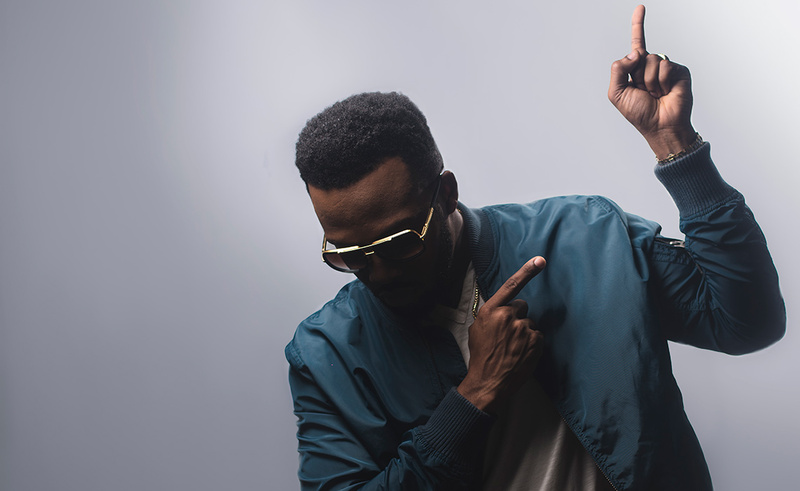 Sasco writes and produces incredibly thoughtful, personal songs, leagues above the dance instructions and gyal lyrics that most of his contemporaries hang their creative hats on. 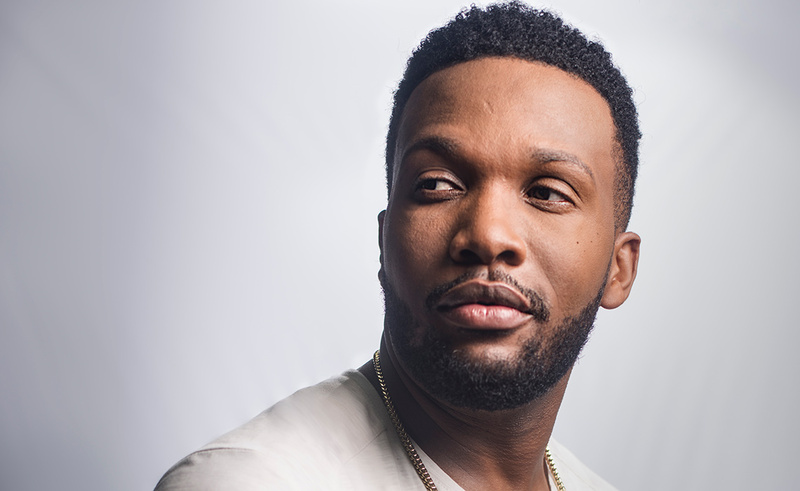 His last two albums, including the newest release, Hope River, are intensely thematic and expressive, and it’s obvious to anyone paying attention that he pours everything he has - emotionally, spiritually, and otherwise - into what he does. 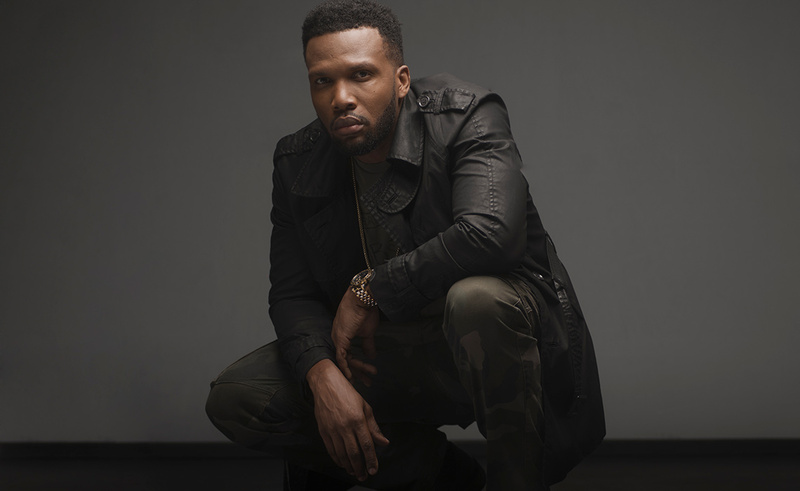 When I interviewed Sasco more than two years ago to talk about his Reggaetivity album, he told me that not only was he doing all of the writing and recording required of an artist for that album, he was also handling all of the executive production duties, and even the “clerical work,” which he said, “ain’t fun.” For Hope River, he’s taking on even more, having built a recording facility, Diamond Studios, in his home in Kingston. He’s writing. He’s recording. He’s collaborating. He’s producing… again. 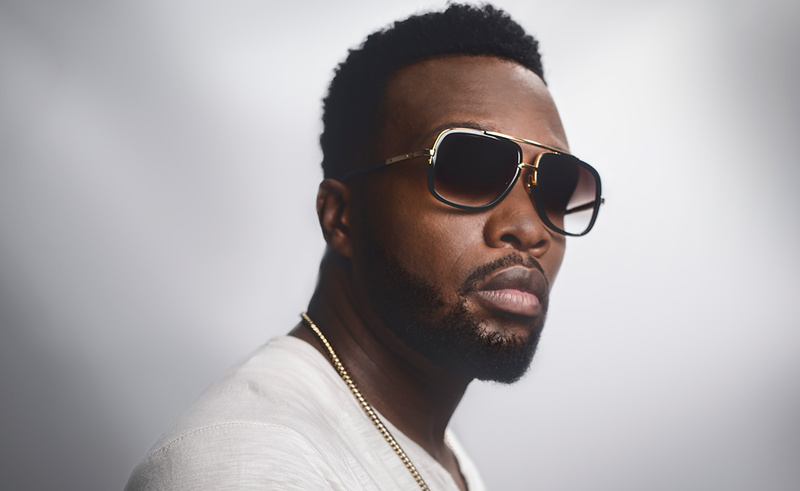 He’s exploring new horizons in the genre(s) that made him an icon, while continuing to find ways to represent reggae and dancehall outside of the Jamaican market, in places like the new Royce da 5’9” video, Summer on Lock, with Jadakiss, Pusha T, and Fabolous. Before we get into the album stuff, I follow you on Instagram and I'm a dog guy, so I wanted to know, what's the story with your dogs, man? I love my dogs, you know? I grew up with dogs. And one of the prerequisites when I was looking for some property in Kingston - I need a proper yard so that I can accommodate dogs. Like have a proper place to house them and all of that. I have three at the moment. So it is Bear who's the male, then there's Bonnie the older female, and there is Berry, who is like a year old. And I’ve seen that you’ve done some training with them? For Bear we did some aggression... And of course obedience right across the board. You know, because they also function as guard dogs as well. So we did a little bit of training with them, but nothing too extreme. I love dogs, so it’s just nice to hear that you connect with them in a similar way. I really, REALLY love my dogs. And I really try to make them as comfortable as possible. Whenever I travel, I bring back a toy or something… I really do appreciate them. So what do you think it is about Winning that audiences are connecting with, and where do you think the story ends for this song? One of the things that I've taken on, in terms of my approach to the creative process, is to divorce myself from any outcomes. So that means that there is no limit, and there is no expectations. Winning? Who knows where it will go? I'm all for it though… Wherever it goes. I just want to make sure - (with) any part of my work - wherever it goes, I want to be ready. I just want to STAY ready, so I can represent my music on whatever platform it takes me to. I think the relatability of the song and the simplicity of the concept, where it's winning RIGHT NOW verses I will be winning NEXT WEEK or WHEN this thing happens I'll be winning, which seems to usually be the nature of a song like that. It's aspirational, versus celebrating your current situation. So winning RIGHT NOW… It's not that, Oh, I have a lot of money, therefore I'm winning now. It's saying, whatever your circumstances are, you're winning. And it certainly has a lot to do with my new perspective, I guess. It's something that I really live by, and I think people appreciate that perspective. I'm aware that Winning isn't one of them, but am I to understand that you produced many of the tracks on Hope River? I’ve been actively getting more involved on the production side of things. I’m co-producing or producing on Banks of the Hope, So Blessed, Mama Prayed… I produced Mama Prayed, but with also… that beat is from the same guys, Upsetta, who did the Winning track. I’m also co-producing on Grateful with (Joshua) “Flubbs” Jones on that track with Stephen Marley. I’m co-producing on They Will Rob You with Dale Virgo. I’m producing on All Aboard… Pretty much all of the tracks on the album I am co-producing, and some of them I’m co-producing on paper as well as in practice. So like, My Song, I’m co-producing, but on paper it’s just Daseca. I'm just kind of curious... Why the RETURN to production? Why now? Why is this the right time? Let's put it this way... There should have never been a departure from it. It's just that some things weren’t in place like… I just completed my own studio in my house. Of course, that is more conducive to exploring whatever I want to do where music is concerned, be it production for others or, you know, whatever… Writing and recording. Having my own facility certainly lends itself to that. And then just doing things in an organic way, rather than trying to force anything… You know, just naturally fitting into these other roles. So it’s not just, I’m an artist. I really do enjoy various parts of the process, and I’m getting the opportunity to do that a lot more now. What we try to do with this album was to have reggae and dancehall pretty much be the DNA of it - but introducing different textures, exploring with new sounds, and even freshening up some of the reggae beats. For example, the song Energy River was recorded on a traditional reggae riddim. Then the producer took that and stripped it down, and then put a different beat on it. So because it was recorded on a full reggae riddim, there is that reggae mood in it. It's a very interesting kind of way to get different textures out of reggae and dancehall. And then adding some trap influence and some other things... Just exploring with it, but not not departing from what our core influences are, which are reggae and dancehall. As an artist I want to not be restricted by any template, necessarily. And I think, with these two albums, it's a good case that I'm making for that freedom. When I say I have a next project coming out, you can't go ahead and assume what it’s going to sound like. And at the same time, taking care to not depart 100% - there still are familiar elements in there. But I’m still managing to surprise people in a pleasant way. It certainly is interesting… The second time I went back and listened, I was surprised by some of those DNA elements. Like, Oh there's a skank in there I didn't notice before. There's a ton of great featured artists on Hope River. Are there any artists you wanted to include but, for whatever reason, couldn't? I have a great relationship with so many people in the industry. And, for sure, when it comes to matters like timing and traveling and all of that, sometimes it just doesn't happen how maybe you'd want to plan it. There are a few people that I certainly would have liked to have, but nothing that I was actively pursuing. Tarrus (Riley) a mi good breddren. We've talked for such a long time about doing more work together. And, actually, we were kind of planning it out like, When you coming back from tour? Where will you be such as such a time? It didn't pan out. I spoke to Busy (Signal) about working, like a year ago, on some material for what would be my next album, even before this one started to take shape. Once again, just work schedule-wise, it just never happened yet. My breddren Jah Cure is somebody else... You know, we talk a lot about working and stuff. Popcaan, Aidonia… So, come on! (laughs) The list is almost… There's just a lot of people. Protoje, as a matter of fact… I wanted Protoje to feature on this album as well. He is responsible for Sevana’s appearance. As you know, Sevana is Protoje’s artist, so I guess we can say he was involved to some extent. So, like I said, I'm at a place now in my life and my career where I have so many great relationships. And outside of just getting along with people, we also want to create together. So what didn't get done on this project may get done at a time to come. One tune that I think stands out is Mama Prayed with Glacia Robinson. I think it stands out because it has that retro feel, and it's there amongst all these other sort of more experimental sounding tracks. So what was the inspiration for that song and why did you think that it was important to include it with some of these more experimental, modern-sounding songs? Going back to the title of the album, Hope River, and even the actual artwork for the CD… So Hope River is where I grew up, in Kintyre. The name of the community is Kintyre… It’s located in the Hope Valley, in the parish of St. Andrew. It’s a community on the bank of the Hope River. So that’s where the title is coming from. It’s about where I grew up and how I grew up and all of that. Is that like a country kind of upbringing? The parish of St. Andrew makes up the other portion of what we would call the corporate area in Jamaica, so it's Kingston AND St. Andrew… And so it's like a half-rural experience. It's the best of both worlds. Even the political designation for it is East Rural Saint Andrew… Papine, which is the closest urban center - we have like the University of the West Indies and the University of Technology - it’s like a half mile walk away. But it’s nestled in a valley, at the foot of some hills, with a river running through it. Like I said, it's the best of both worlds. And so the album is really going back to that time of my development. And then my mother praying is a very, very, VERY significant part of my experience along the Hope River. Like a VERY significant part of that experience… I'm talking about not just like five minute prayers or even a minute-and-a-half prayer before you have dinner or something. I'm talking about waking up at 1:00 a.m. and praying until daylight. It's that kind of thing. And it was a very humble situation. This is a one-bedroom boardhouse. When I say one-bedroom, I don't mean like there's a livingroom and a kitchen, and then the bedroom. I mean it's a one-room house. Like it's just maybe 14 feet by 16. Just one room. My mother, along with my older brother and sister, and myself. One of the biggest contributions my mother had in my upbringing was just caring and loving, and praying was a very significant part of that. There's no way I could document my experience along the Hope River without somehow including that aspect. It didn't matter how it was going to fit in musically. It just needed to be there. My mother died in 2005. It was sort of a tribute as well as critical to the story of my experience. It’s a very powerful song. I like it quite a bit… Thank you. My mother was a huge fan of Glacia Robinson. She's a legit gospel artist - an incredible vocalist, as you can hear. I think adding her on the song just added so much authenticity to it, in terms of going for that texture and that kind of gospel vibe. She was very graceful about, you know, just like being a part of it. It was great, so I'm happy about that. I wanted to also ask about Change with Stonebwoy, Kabaka Pyramid, and Spragga Benz. It's an epic collaboration and it's such a genre-bending riddim, I just wanted to know if you could tell me a little bit about the inspiration and how it came together. Alright so that is Dale Virgo right there… Like I said, I really love the sound. He was the one that was responsible for that Energy River remix, or whatever you want to call it, that was originally a reggae recording. And when I heard Energy River, I realized that I love that kind of, like you said, genre-bending style. I realized I wanted more of the album to have that kind of feel. So I knew right away I was going to be working with Dale on a couple more tracks… Dale and Troy Baker, that is. Their producing combo is called DizTroy, for Dizzle and Troy. They would just come by, and we would just set the machine up and start going through sounds. And I would like hear something, and I be like, Yeah! Yeah! Yeah! Yeah! Yeah! DAT!!! I be like, Yo, people! Would you like to hear me feature somebody? And some people like, Yah, mon! How ya mean? Put Spragga pon it! Put Stonebwoy pon it! Yeah, man… This is recording 2018-style, using these different technologies and platforms that we have to revolutionize the experience of recording and how that whole thing gets done. And then it was like a no-brainer to have Stonebwoy feature on this song. You know, clearly because of the content and, of course, for that African perspective. It just felt right. Stonebwoy is somebody who I, once again, have a great relationship with. We talked about it, like, Yo Stonebwoy. Yo, we need to do something together. And, of course, he sent me something for his Epistles of Mama album. It was kind of like, Alright. When I find something, I’ll send it your way. So this was just perfect. And then Spragga Benz, of course, and Kabaka Pyramid… Once again, Kabaka, very lyrical and very much aware, in terms of this kind of content. And anybody who knows my story knows that Spragga Benz played a very significant role, especially in the formative years of my career. So to have him on this track means a lot more than just having him on the track. You grew up on the banks of the Hope as you say in the song. So what were you hoping for then and how does it differ from what you're hoping for now? I can imagine something that we all hope for, for me at that time was social mobility. Being where we were in the scheme of things, I just hope for a better future for my kids and by extension my grandkids. You know? Understanding also that it was possible… (and) it had to be gone about in a way that was still in alignment with my core values and principles. So I guess that was just the hope, you know? Like, Yo, it would be great to realize some upward social mobility and all that comes along with it. And the next thing is with this album, and even one of the things I was attempting on an earlier project, was to celebrate the experience of growing up, even in a humble situation. Because, you know, you are still happy within that even though you aspire to more. And you want to change the reality and give yourself more options, clearly, but at the same time I wouldn't trade it, like I say on the song Journey. Have no regrets, you know? So we celebrate that, but we were still wanting and hoping for something else.